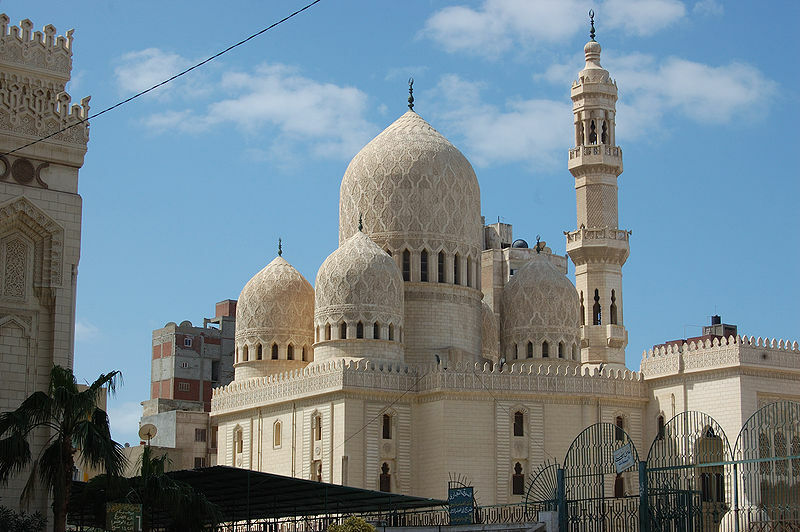 This tour will first visit the Abu al-Abbas al-Mursi Mosque, Alexandria. Abu al Abbas al Mursi left Spain with his family in 640 H (1242 AD) in the face of increasing Christian control over Spain. He was accompanied by his father, brother, and his mother. 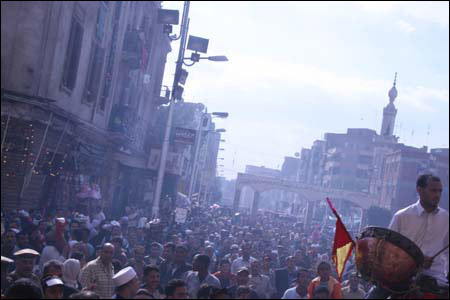 In Tunisia, Shehab heard about El Sheikh Abu El Hassan El Shazly and he accompanied him in his journey to Alexandria. Many Muslim scholars and religious people chose to live in Alexandria after the Christians began to dominate Spain. El Sheikh El Shazly was fond of Shehab and in return Abu al-Abbas became one of his best students. Abu al-Abbas married El Shazly’s daughter and had two daughters and a son with her. Shehab Abu El Abbas El Mursi lived 43 years in Alexandria as a Muslim teacher until he died in 686 H (1286 AD). Built in 1775 by Algerians, the mosque was built over the tomb of the famous thirteenth century sufi saint. The walls of the mosque are dressed in artificial stone, while the minaret, located on the south side, stands at 73 metres. 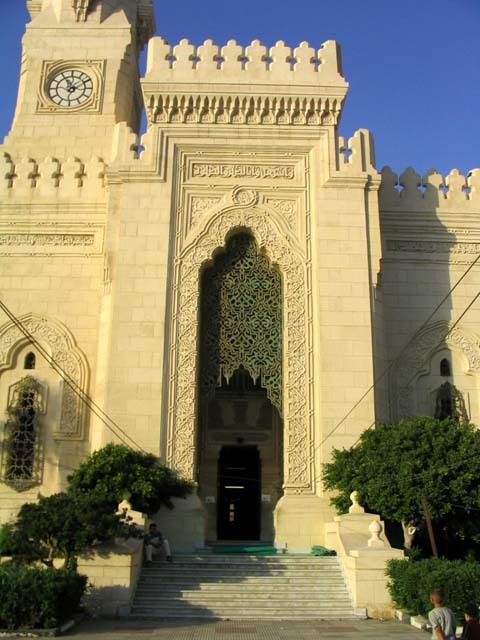 A visit will also be made to the Qaed Ibrahim Mosque in Alexandria. 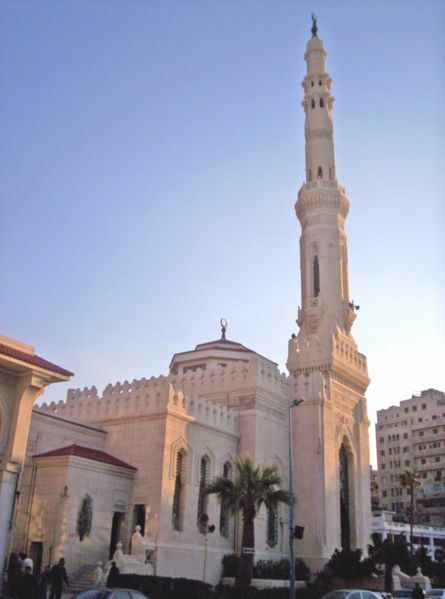 It is said there are 40 mosques in Alexandria associated with the Sufi order, around 16 of them historic mosques. 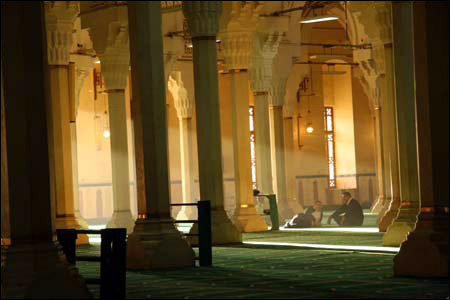 In Tanta is the El Sayed el Badawy Mosque. The largest moulid in Egypt in late October annually commemorates Sayed Ahmed El-Badawi at his tomb in Tanta’s mosque attracting up to three million people, some travelling from as far away as Sudan. Sayed Ahmed El-Badawy honors this 13th century Moroccan Sufi who won fame battling Crusaders and founding the Badawiya Sufi order. The last mosque for the day, in Desouq, honours Ibrahim el Desouki. El-Desouki was born in Desouq on the Nile delta and there he lived he whole life, hence his attribution to it. According to tradition, he is a descendant of Ali ibn Abi Talib from his paternal side and to the Caliph of the Rifa’i order in Egypt from his maternal side. 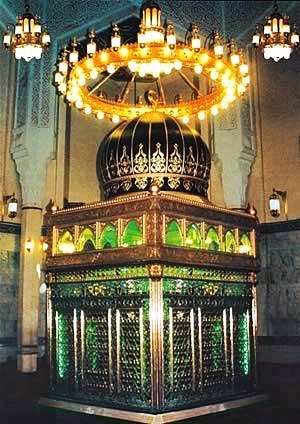 El-Desouki was influenced by the Shadhili Sufi order and was as well close to his contemporary Sufi Ahmad al-Badawi of Tanta. He became Sheikh ul-Islam of Egypt during Baibars’ rule. His feast is celebrated twice a year: the first during April, and the second on October the 2nd. Departs from your accommodation at 6.30am. Hotel pickups may commence prior to this time, exact pickup time will be advised on reconfirmation. Entrance fee to all sites. Some sites do not have an entrance fee but a donation is always welcome. – Walking around any sites can be over uneven surfaces and sensible, comfortable footwear is advised. – Sunscreen, a hat and water are important. – There are souvenir salesmen everywhere in Egypt and bazaar shop owners can be insistent; be polite but firm if you are not interested in purchasing. Ask your guide for assistance if necessary. – If required, wheelchair accessibility should be discussed when booking. A vehicle with wheelchair accessibility can be made available but the streets of old Cairo are not always easy with a chair or for people with disabilities. – Don’t forget your camera!!! Bring a spare battery and card – you’ll take far more pictures than you imagine. A confirmation sheet will be sent to you as soon as possible after booking with all details, including local telephone numbers for enquiries. Thank you for choosing Nile Wave Travel. If you wish to book this tour please quote STT112. You may contact us by email at nilewavetravel@gmail.com or phone +2 017 3338800.